Jack Hermansson is approaching the biggest fight of his mixed martial arts (MMA) career. After impressing early on in his UFC run, Hermansson will step in to face Ronaldo “Jacare” Souza in the main event of UFC on ESPN 3. “I am not afraid to go (to the ground). I will take him down and I will do what I do. He has a really good ground game, but I have good medicine for that, and that’s the best ground-and-pound in the world,” Hermansson said. “I think Khabib is probably number two after me. He is extremely good at the controlling. 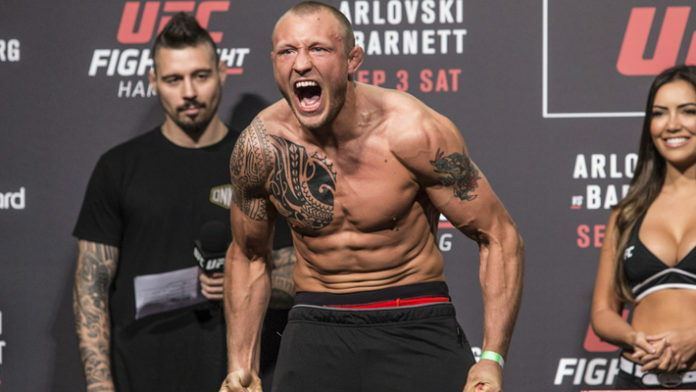 But he gets so tight that he doesn’t get a lot of leverage and power, but he makes up for it in volume and pressure,” Hermansson said. Do you agree that Hermansson has a better ground game than Khabib?